I was in the area anyway. My friend Mark had invited me to join him and his mates at the Mid-Norfolk Railway’s Class 47 anniversary gala on Saturday, an invitation I happily accepted. Mark had to go home early Sunday morning, and I could have done the same, but Berney Arms – just 27 minutes away from Norwich – was too tempting to resist, and I resolved to squeeze in a visit before heading back to Liverpool. 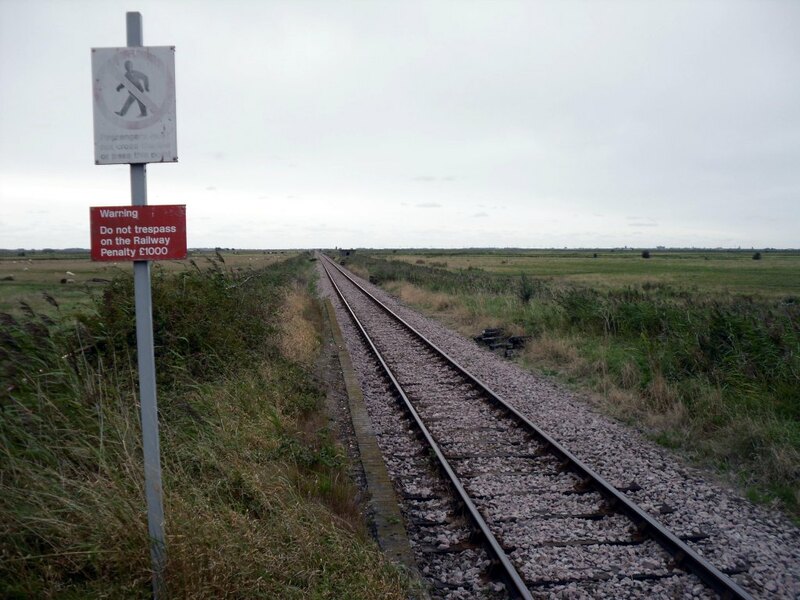 The line through Berney Arms is part of the Wherry Lines, a series of railway routes which thread their way through the Norfolk Broads, linking Norwich with Great Yarmouth and Lowestoft. 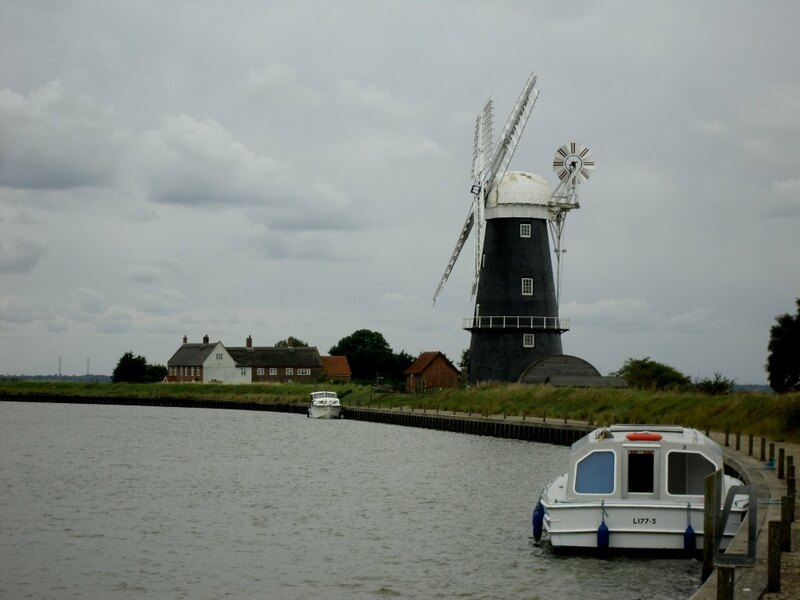 As well as providing a rail link to several small villages, it also allows easy access to the Broads themselves, making them attractive for visitors to the area. The service to Berney Arms, which is actually more frequent on Sundays than on any other day of the week, reflects this. I arrived at Norwich to find my train ticking over in platform 1. 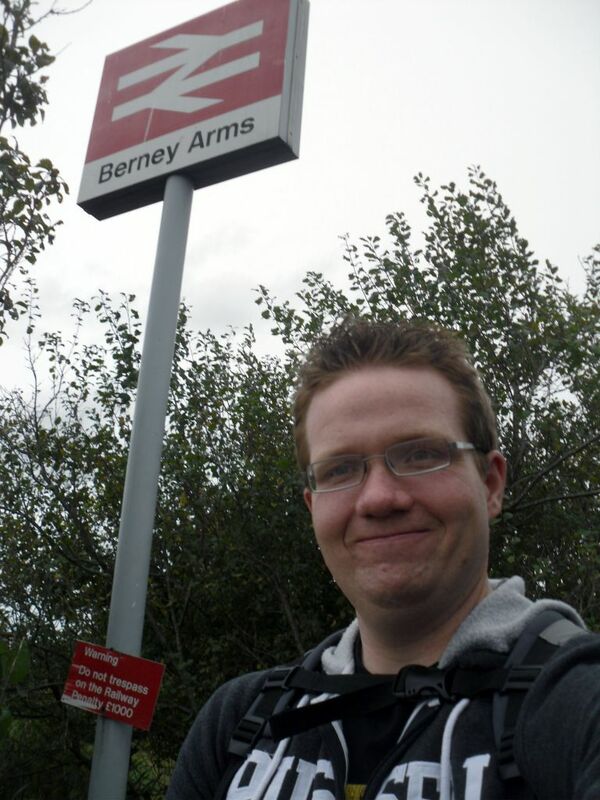 I waited for the guard to finish assisting a wheelchair user on board before informing him that I wanted Berney Arms. He was a jolly chap who seemed genuinely pleased at my request. He told me to sit in the front coach, as only one door of the train would be platformed. We set off on time and the Norwich suburbs soon gave way to open countryside. I gazed out of the window as various small villages flashed by. 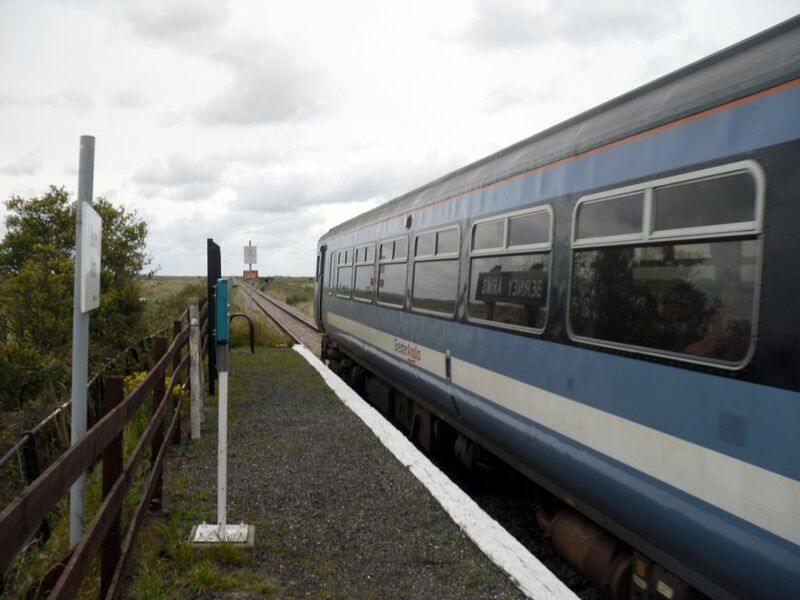 We slowed, but did not stop, for the request stop at Buckenham – another wayside halt and future Station Master target, but one which will have to wait for a future trip. Just after midday, the train started to slow for Berney Arms station. A group of teenage boys with mountain bikes eyed me with suspicion as I headed for the door ready to alight. I ignored them – I was too excited to care, and I eagerly hopped off the train onto the tiny platform. As the train moved off, the guard leaned out of the window and shouted something to me. Thanks to the engine noise I didn’t catch what he said, but it was friendly in tone so I smiled and waved. I hope that was an appropriate response. 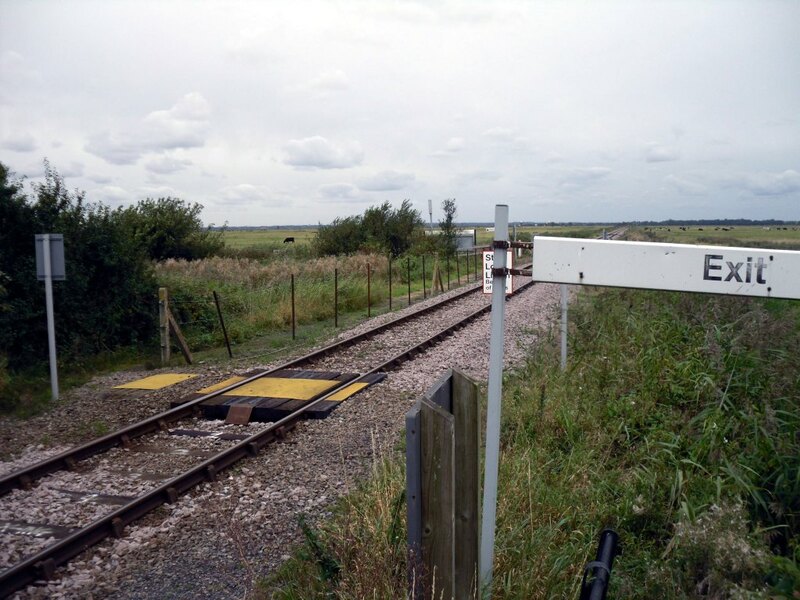 So this is Berney Arms: a tiny platform with a rough gravel surface, accessed via a barrow crossing. Looked at objectively, it barely qualifies for the name “station”, and yet it is all rather wonderful. 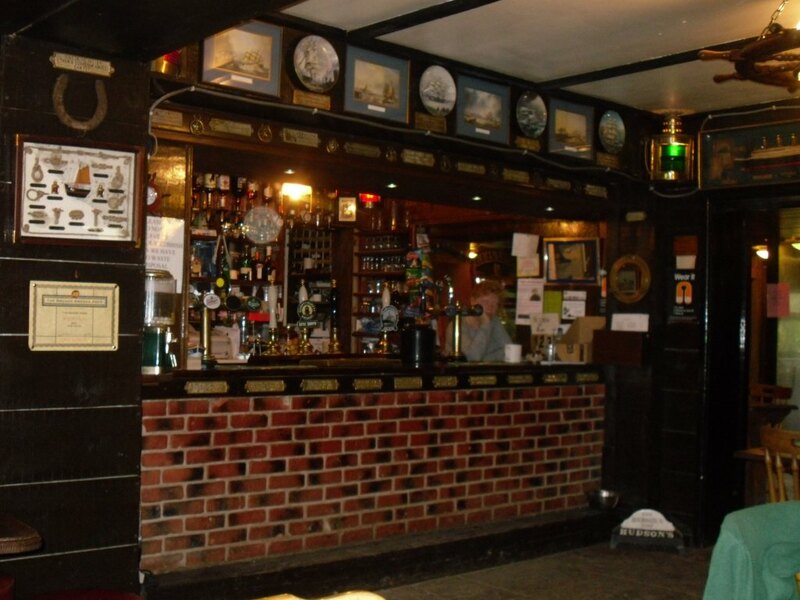 Berney Arms opened in 1844. Those early railways do seem to have had a habit of plonking stations down in random locations, seemingly “just in case”. 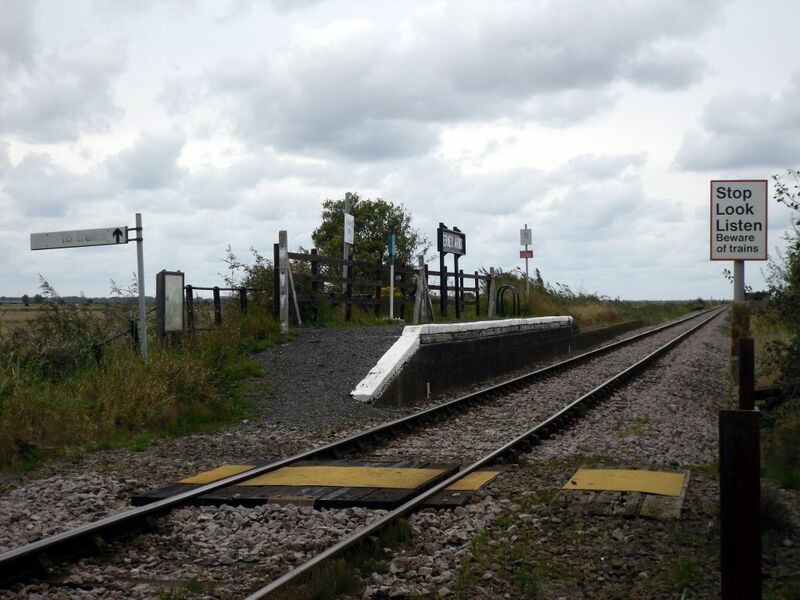 Here, however, the railway company was actually forced to build the station to satisfy conditions imposed by the local landowner, Thomas Berney. I’m not sure why Berney needed a station here, but I’m personally very grateful that he stuck his neck out. Anyway… Remember at school, when “railway tracks appearing to meet at a point in the distance” was used to explain perspective? Well, here’s your textbook example. With no obstacles to get in the way, the line is dead straight and dead flat, stretching off into a distant horizon. I could have spent the next two hours enjoying the feeling of splendid isolation at the station, but I had other things to see, so it was time to leave. The sign marked “Exit” pointed to a barrow crossing which led to a patch of grass that was slightly less rough than the rest. I followed it to a gate. Here was my first surprise of the day. 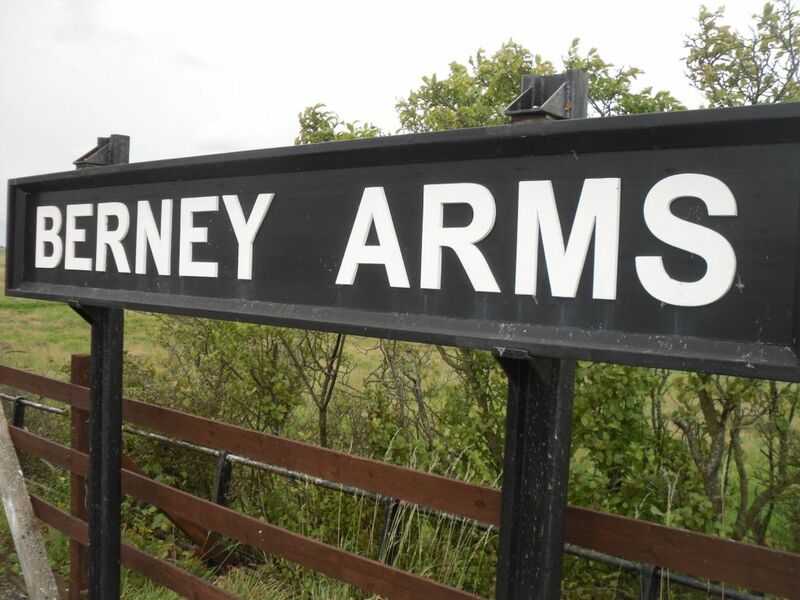 Berney Arms – lonely, isolated Berney Arms – has a full British Rail totem standing proudly at the station entrance. I was amazed – first of all, that someone would go to the effort. How on earth did they even get the giant pole here in the first place? 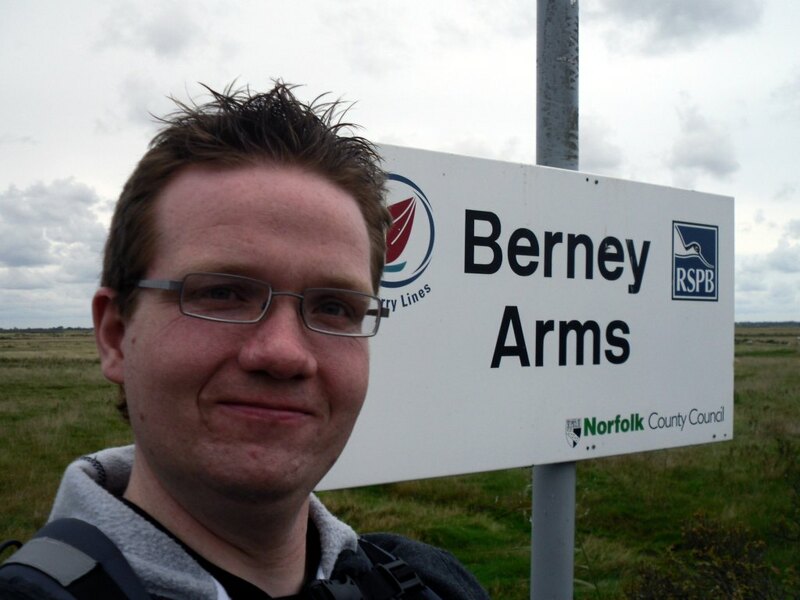 Secondly, how can Berney Arms have one when the main station in Norwich doesn’t?! 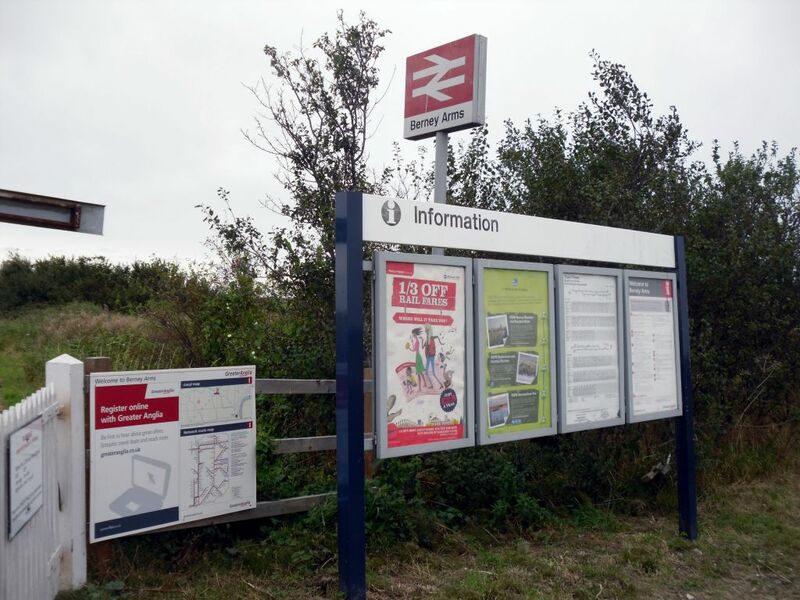 There is also the standard “station information” poster. I didn’t notice it at the time, but on reviewing my photos tonight I was amused to see that it contains telephone numbers for local taxi operators. Yes, good luck with that – the nearest road is 3½ miles away. There was a train back to Norwich due about 20 minutes later, but that would have been the easy way out. Instead, I decided to wait for the next train (at 1427) and fill the time by exploring the surrounding area. The Google map below details some of the riches on offer. Actually, that’s not quite true. 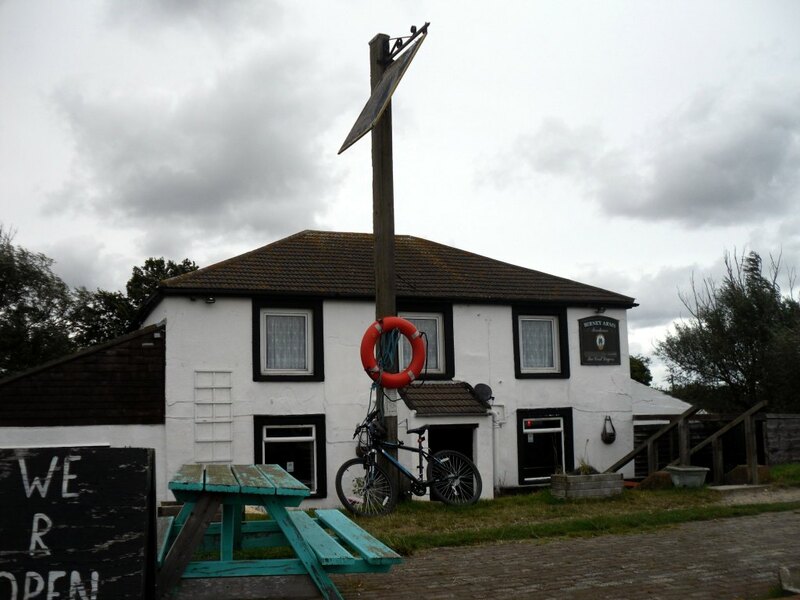 There is one feather in the cap of Berney Arms, and that is the nearby pub – only accessible by train or boat, unless you’re prepared for a long walk from the nearest town (Great Yarmouth, a little over five miles away). My friend Ian Jones passed this way a few weeks ago, and he had an excellent piece of advice for me: head for the windmill. The windmill, standing tall above the landscape, is one of the few noticeable landmarks near the station. If you’re heading for the pub, it’s a useful navigational aid. There is a public footpath (Weaver’s Way) shown on maps, but it isn’t well marked on the ground. 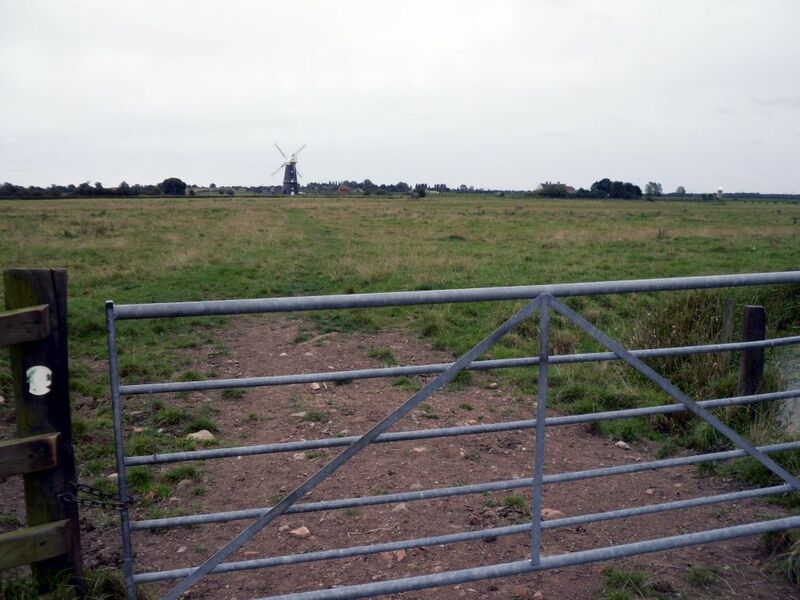 That’s not a problem, however – keep the windmill in sight and you can’t possibly get lost. I confidently set off over the fields. I got eyed up by cows and swans as I walked along. While I enjoy walking through the countryside, I usually prefer it if animals keep a safe distance. 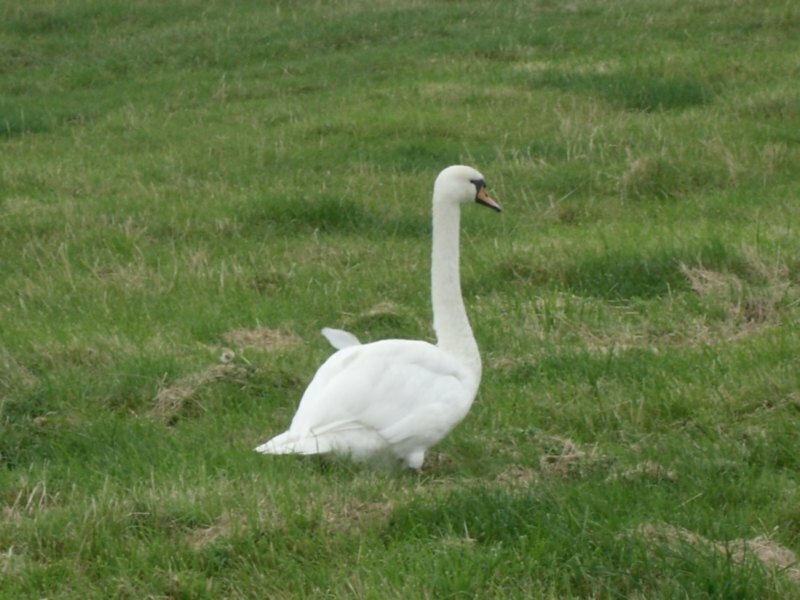 As I approached a swan standing directly in my path, I pondered the old wisdom which has it that an angry swan can easily break a person’s arm. Fortunately it waddled off just as I waddled up to it, so that particular theory didn’t get put to the test. Ten minutes later I reached the windmill. It has been restored and is allegedly open to the public, but was firmly closed when I visited. In any case, I had a more important destination. 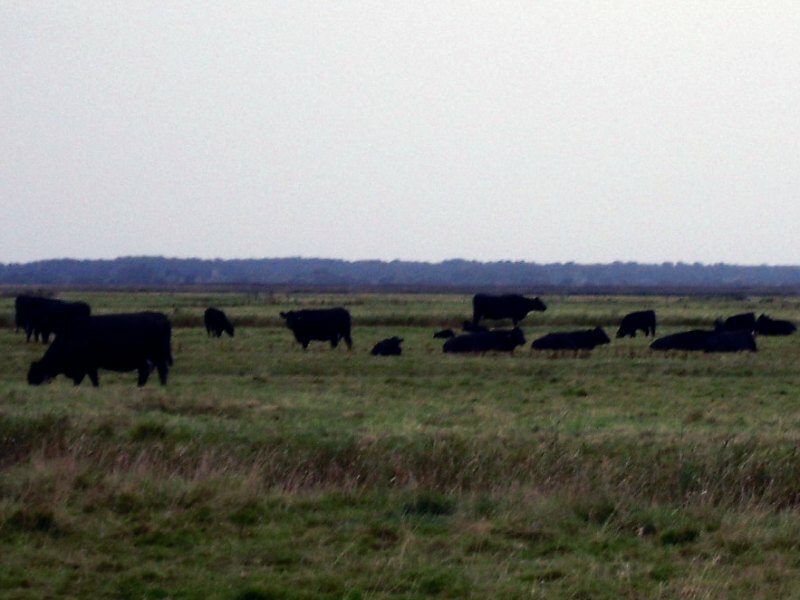 I continued along the bank of the River Yare towards the Inn. Here, for the first time, there were other people – a couple of hardy ramblers, an elderly couple walking their dog. Boat owners pottered around in their moored vessels. After a short further stroll, I reached the pub itself. 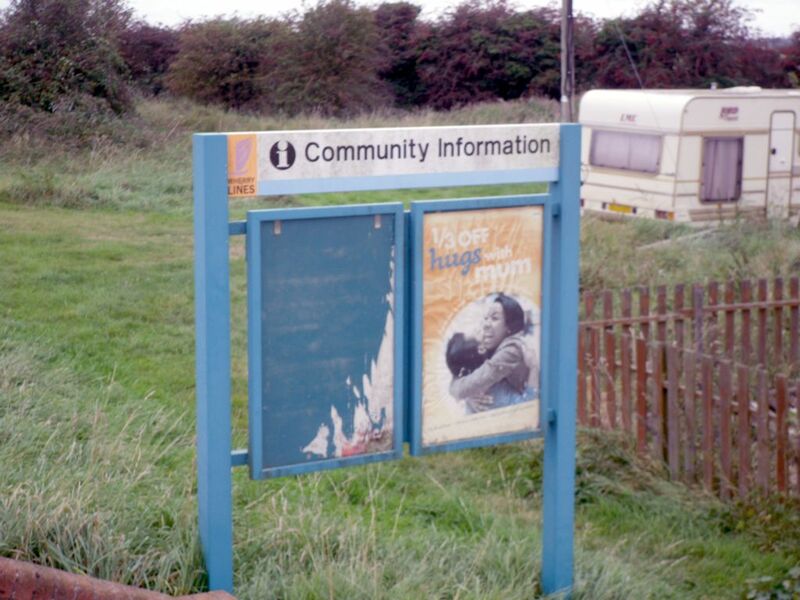 Nearby, a rather neglected railway noticeboard advertised “Community Information” – I guess when there are no houses and no permanent residents, there isn’t much of a community to inform. Nearby, a reassuringly home-made “WE R OPEN” sign beckoned me to come inside. It was at this point that I felt a tinge of trepidation. You see, I don’t like sitting in pubs alone. On a few occasions I’ve arranged to meet friends and ended up waiting for them, and it was an excruciating experience. I cannot, as many people do, sit nursing a pint and feel happy. Still, the pub was the only shelter from the elements for miles around. It was either go in, or return to the station and sit on the windswept platform for two hours. I ventured inside. I was not the first to reach Berney Arms that day. A couple in walking gear were tucking into a hearty meal. A not unattractive man with Bradley Wiggins-esque sideburns sat in one corner, fiddling with his smartphone (despite its remote location, Berney Arms enjoys a good mobile signal, thanks to the flat terrain). The friendly landlady behind the bar saw me come in and gave a welcoming smile. I asked her about the real ales on tap, and she kindly offered to pour a sample of each for me to try. I’m not a connoisseur by any stretch of the imagination, but after an exhaustive taste test I settled on the Little Sharpie, produced at the Humpty Dumpty Brewery in nearby Reedham. With pint in hand, I took a seat and took a moment to appreciate my surroundings. The landlady chatted amiably to the lunch-eating couple, sharing anecdotes about her home town of Birmingham. Every so often she would look over to myself and sideburns man, as if she was inviting us to join in the conversation. Sideburns man did chip in a few times, but my built-in shyness was activated and I could only manage a weak laugh in the right places. Afterwards, I felt bad about my failure to engage – I didn’t want people to think I was a haughty loner, however accurate that impression is. So when I got up to order my second drink, I resolved to engage the landlady in conversation. While she was pulling my pint, I complimented her on the pub and she thanked me. I told her about my journey to Berney Arms station and that I was planning to get a train back to Norwich just before half past two. She reminded me that I had to stick my hand out. That was it, but it was better than nothing. Better than what I usually manage. I returned to my table. A few minutes later sideburns man went to the bar to get another drink for himself. I didn’t deliberately eavesdrop on his conversation, but I overheard him mentioning “train”, to which the landlady said something in reply and gestured at me. He sat back down. Given that we were both planning to use Berney Arms station, I thought I should at least say hello to him now. 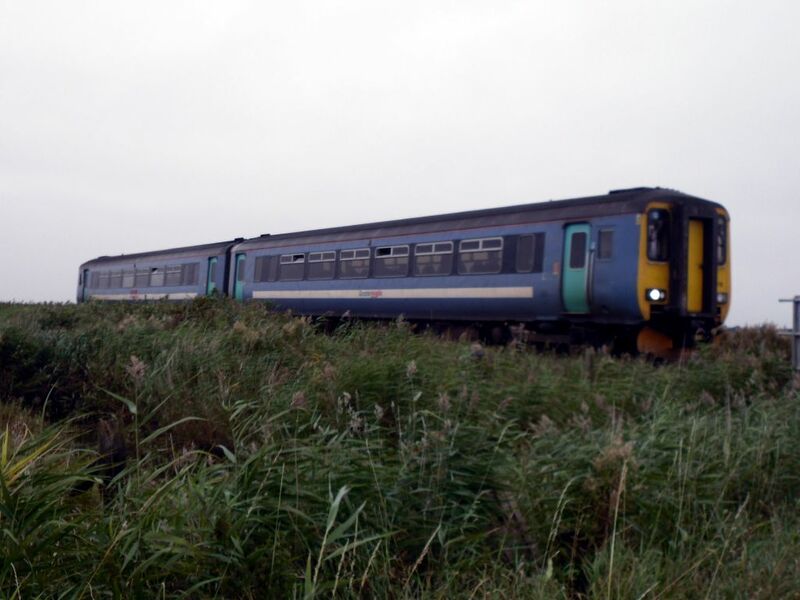 It turned out he was a cyclist who had ridden his bike down from Great Yarmouth (5 miles away) and would take the train back – so he was going in the opposite direction to me. This meant that his train was due half an hour earlier than mine, so he left the pub well before me. 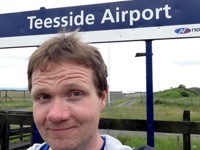 It only fully sunk in later, as I travelled back to Liverpool, that I had engaged strangers in an actual conversation – something I never usually do. I could have happily stayed in the pub all evening, but time was ticking away and, with the 1427 being the last train of the day at Berney Arms, I decided to give myself plenty of time to catch it. The landlady called goodbye after me as I left. With a big smile on my face, I set off for the station. I reached Berney Arms just as the Great Yarmouth train approached. The cyclist chap (I should have found out his name, shouldn’t I?) was waiting at the station. The train stopped briefly, to allow him to get on board, before accelerating into the distance. I re-entered the station to wait for my train, back to Norwich. I had overestimated the walking time from the pub, so I had 20 minutes or so to wait. This time, however, I had company. A family of ramblers approached the station and joined me on the platform. They, too, were aware of the significance of the location and posed for pictures, the father standing on the track (grrr) to take them. I have to admit this kind of ruined the fun. 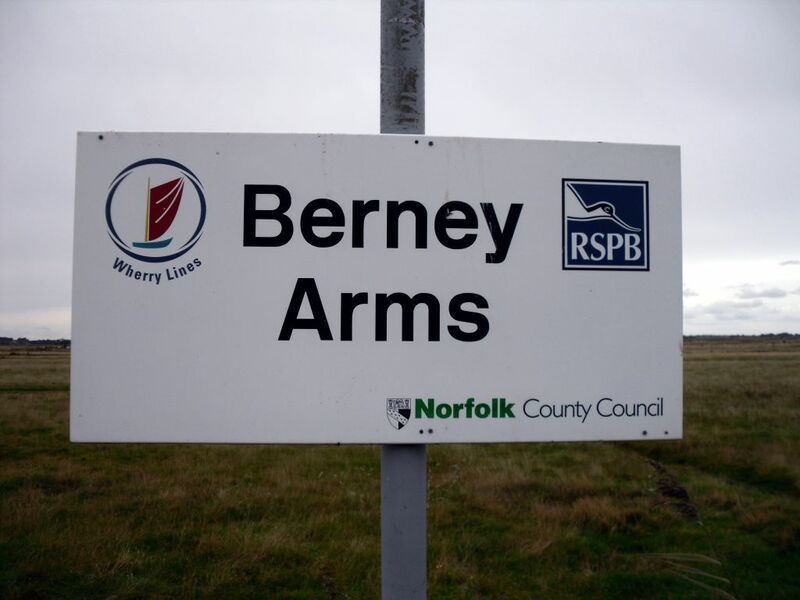 I wanted Berney Arms to be a well-kept secret, known only to a select few. We can’t have people using these stations. On the other hand, every visitor to the station is another potential customer to keep that wonderful pub open. It was at this point that the rain, which had been threatening for some time, finally started coming down. Berney Arms used to have a tiny wooden structure to provide some shelter from the elements, but it blew down in a storm, and now the station is completely unprotected. I was grateful to see a bright train headlamp slowly get closer. 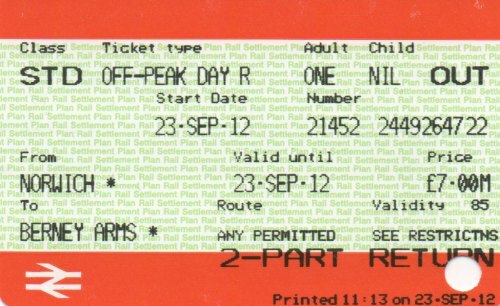 It was the same train (and same guard) that had brought me to Berney Arms that morning – a neat bookend to my adventure. Berney Arms may be the highlight of my Station Master travels so far. A tiny station in an isolated location, with alcohol and friendly conversation when you get there. What more could a person want? You went two better than me. Not only did you go into the pub, you spoke to some strangers! A great write-up of a great station. I grew up in Reedham, and coincidently my mum worked both for the 700146 taxi firm (a couple with 2 cars) and even now for Humpty Dumpty. We took a day out one Sunday to have lunch at the Berney Arms, great fun, our (then) 3 year old loved it.